What started off as a cheap method of transportation in the 1940s went on to become one of the most beloved scooters in the world. Yes, we are talking about the Vespa, the Italian scooter brand that has grown into a global phenomenon and over the years has become synonymous with youth and freedom. The production of the cheap and reliable Italian toy-like Vespa began in 1946, and soon many rival scooters had emerged from different parts of the world. 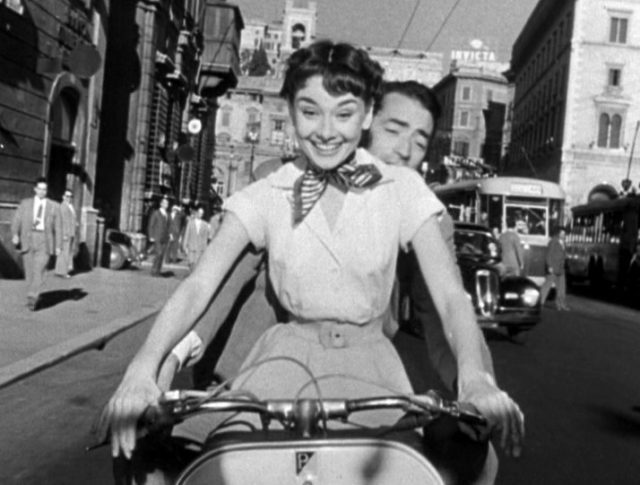 However, it took nearly a decade before it became a global star, when William Wyler’s 1953 movie Roman Holiday introduced it to the worldwide audience. The movie that vaulted Audrey Hepburn to stardom did the same for the two-wheeled icon, and in a period of only three years, over half a million Vespas were sold worldwide. 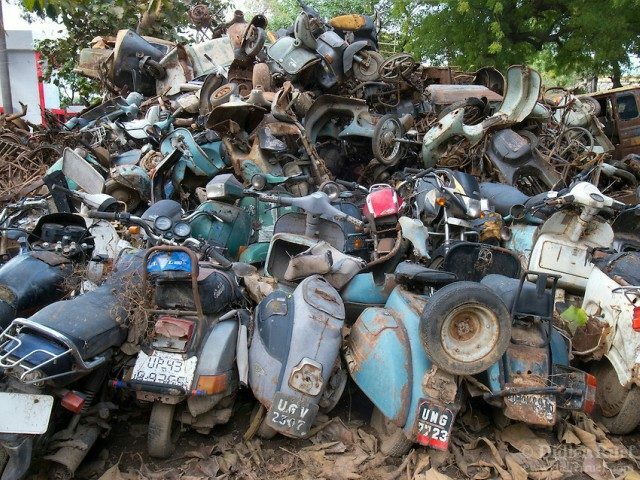 Millions of Vespa motor scooters have been made to date and sold, with many of them eventually ending up as scrap metal after years of loyal service to their owners. While some people view the Vespa as a simple and cheap means of transportation, others have found a way more creative use, turning old Vespas into a kind of accessory, useful and practical, not just a Feng-Sui item. One such individual is Nick Smith, the founder of Smithers of Stamford, an online vintage, industrial, retro furniture, and lighting store. Their specialty: repurposing and transforming vintage products such as Vespas that went out of fashion into something cool and exciting. 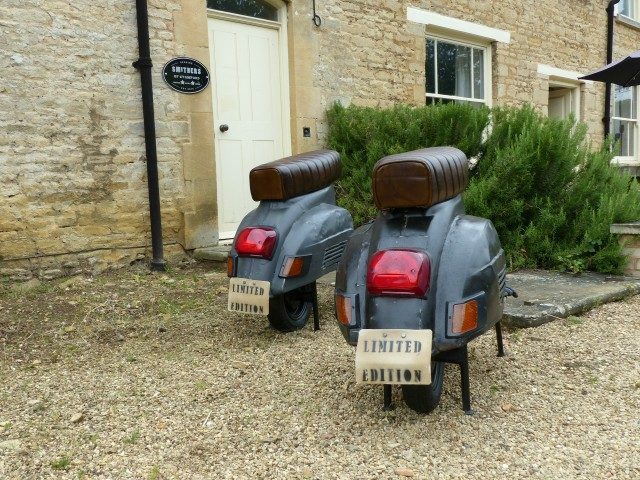 Smithers of Stamford’s specialty is repurposing and transforming vintage products such as Vespas that went out of fashion into something cool and exciting. Author: Smithers of Stamford. Smith says that his love of scooters started early in life and by the time he reached 13 years of age, he already owned a Vespa 90 and had been caught by the police riding it illegally a few times. Vespa Primavera was the second scooter Smith owned, but he says that his absolute personal preference was the arrival of his first Lambretta. 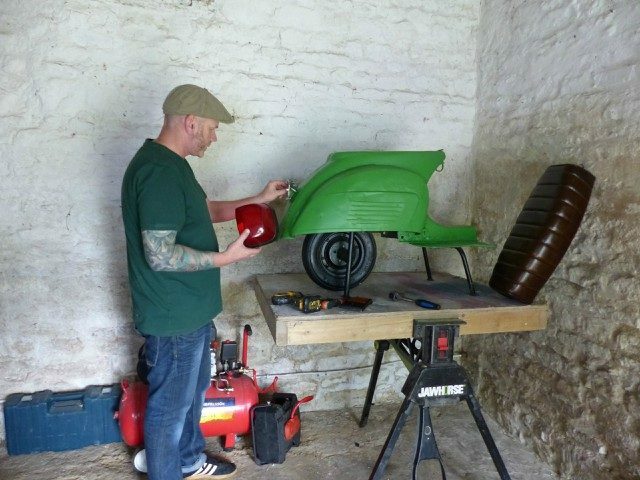 “The retro styling of the Lambretta was everything I wanted in a scooter and it’s been my first choice ever since,” he adds. Smithers of Stamford is an online vintage, industrial, retro furniture and lighting store set up by Nick Smith. Author: Smithers of Stamford. With the support of Emma, his life partner, and secret weapon, Smith founded Smithers of Stamford in 2014, and to this day, they continue working with the same enthusiasm and passion, always striving for the highest standards and favoring the flawless. “We specialize in high-end retro furniture, up-cycled products, industrial lighting and quirky homewares that you won’t find on the high street,” Smith says. 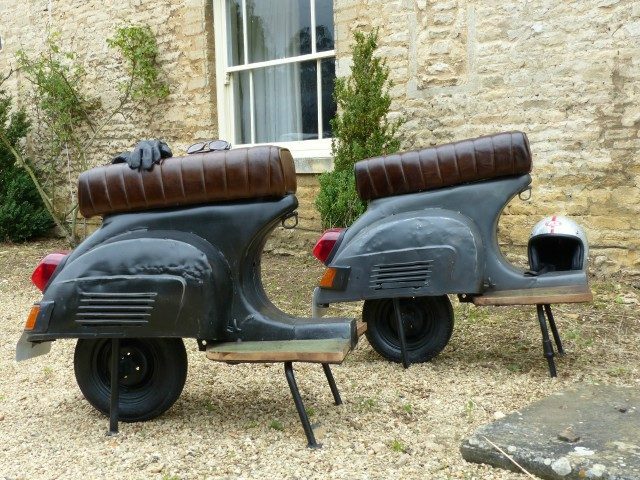 When one considers Smith’s long love affair with the Vespa scooters, it comes as no surprise that scooter-themed furniture has been an integral part of Smithers of Stamford’s catalog of its somewhat eclectic products. 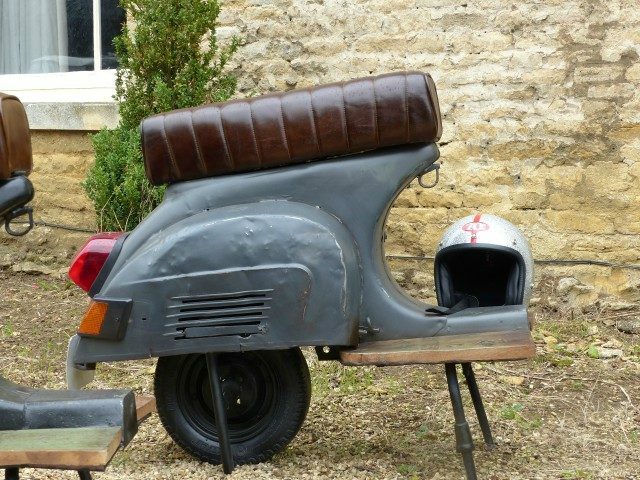 “Here at Smithers, we’ve incorporated all sorts of discarded items into good quality repurposed furniture and it was whilst walking around Wicksteed Scooter Parts Fair that the idea came to me. 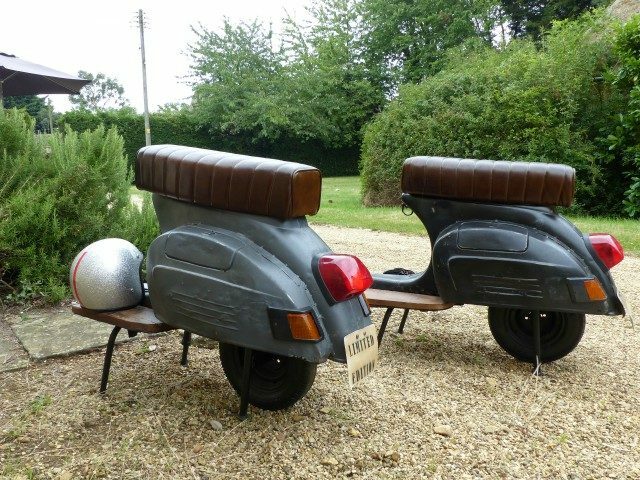 I had noticed a few Vespa Sprints and Rally frames at the fair that were being sold for parts and scrap and, unlike most normal people, I thought what amazing chairs they would make. With a rough design idea in mind, I bought them there and then and took them back to Smithers HQ,” Smith told The Vintage News. 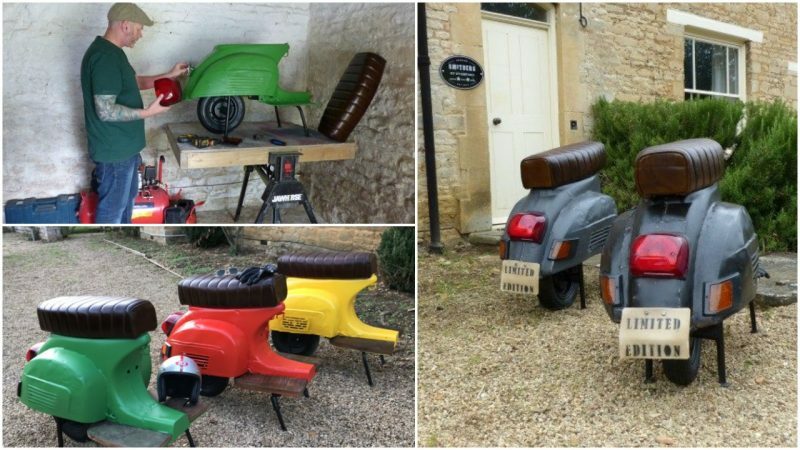 They have poured their hearts and souls into transforming vintage Vespa scooters into unique retro and vintage-looking furniture. 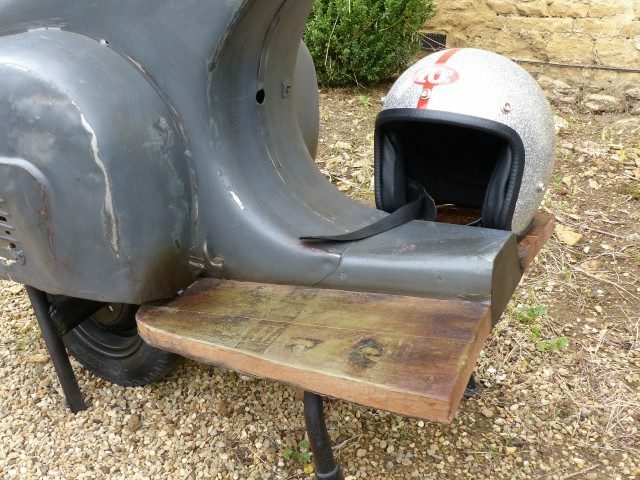 By using genuine Vespa scooter back-ends and adding reclaimed wood footboards and a brand new brown seat for extra comfort, they have created these outstanding Vespa Chairs. 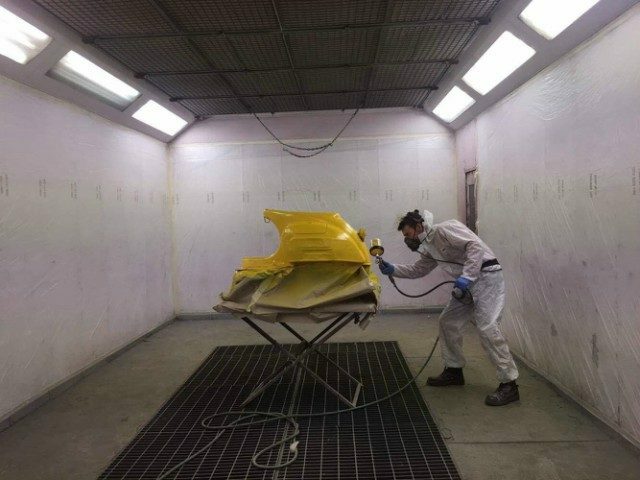 “We don’t do boring here at Smithers and love the fact that the materials which have been repurposed into an exciting new design have lived a previous life and covered many miles,” Smith writes on Smithers of Stamford’s website. 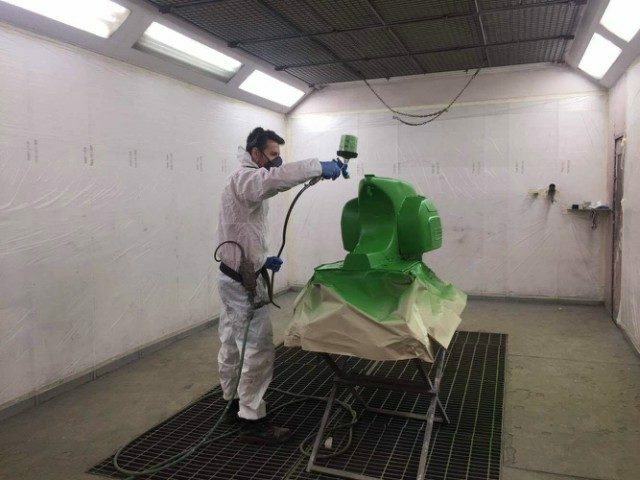 From what we are able to see from the video posted on their Facebook page, the process of creating Vespa Chairs seems to be quite complex and requires a lot of dedication, skilled designers, and talented craftsmen. “I pride myself on designing and providing furniture that is not only high quality, but that dares to be different. Up-cycling products destined for the scrap heap is not only eco-friendly but also showcases a unique style that brand new products are incapable of. The fact that I can now bring my love of scooters into my work ethic is just an added bonus,” Smith added. 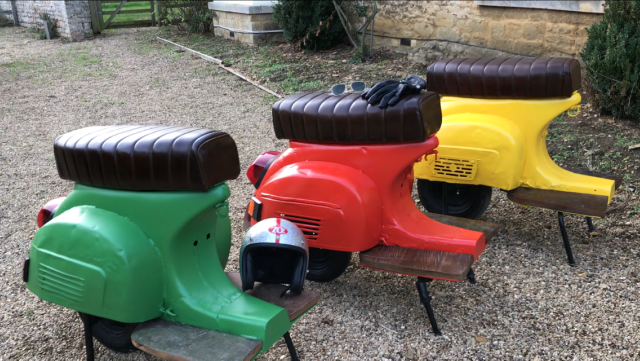 By creating these magnificent Vespa Chairs, Smithers of Stamford did not just simply give a second chance to the vintage Vespa scooters previously doomed for scrap metal, but they have also reminded us how important it can be to recycle, reduce, and reuse.